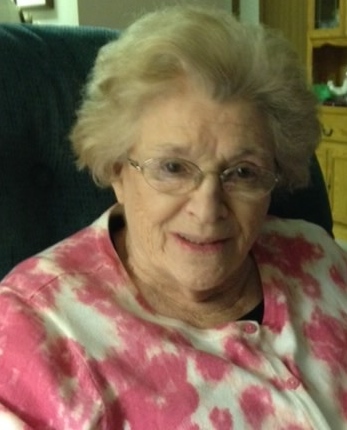 Hickey, Therese Marie , age 91, a life-long resident of the Dayton area, passed away peacefully on March 23, 2019. Born to John and Estelle Kelble in 1927, Therese was a graduate of Julienne High School (1945) and of the University of Dayton (1949). She was employed for many years at the former St. Elizabeth Medical Center in the Nursing Staffing Office. Therese also enjoyed volunteering for the Victoria Theatre Association and Kettering Hospital. She was a resident and volunteered for many events at her home in the St. Leonard Retirement Community. She enjoyed travel, theater, crafts, gardening, and good books. Most of all, she enjoyed spending time with her friends and family. Therese was preceded in death by her parents John and Estelle Kelble; her former husband, Paul Hickey; their infant daughter Therese; her brothers Jack, David, and Jerry Kelble; her son-in-law Joe Kniess; and her grandson Michael Hickey. Therese will be missed by her children: Paul Hickey; Maureen (Tom) Tweed; Celeste Kniess; Tom Hickey; Michele Dixon; Patrice Hickey; and John (Kathleen) Hickey; and former daughter-in-law Susan Hickey. Therese cherished her grandchildren: Julia (Tony) LeCours; Mathew Kniess; Rosa Tweed; Claire, Maura and Jack Hickey; and her great-grandson Micah LeCours. Family will receive friends on Thursday March 28, 2019 from 6-8 PM at Morris Sons Funeral Home 1771 E. Dorothy Lane Kettering, OH 45429. A Mass of Christian Burial will be 10:30 AM Friday March 29, 2019 at St. Francis of Assisi Catholic Church 6245 Wilmington Pike Centerville, Ohio. Private Interment in St. Brigid's Cemetery in Xenia, Ohio will be at a later date. In lieu of flowers, memorials may be made to Hospice of Dayton. Online condolences may be left at www.morris-sons.com.